That's right theatre fans. One of the theatre's most celebrated plays of all time is heading across the pond for the first time in eight years. 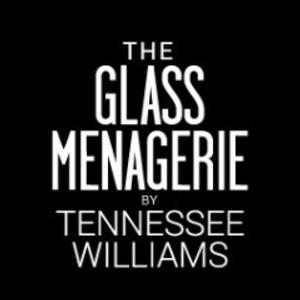 The Glass Menagerie, by Tennessee Williams, is set to begin previews at the Duke of York Theatre in London on January 26, 2017, where it will play thru April 29. This new production, is based on the 2013 Broadway revival directed by Tony winner John Tiffany. Recreating her Tony nominated performance as Amanda Wingfield is two-time Tony winner Cherry Jones. Now for those of you that are not familiar with the show, here is a brief synopsis to give you a little more info. Set in 1937 in St. Louis, Missouri, the play takes place in the home of southern matriarch Laura Wingfield, who lives there with her son Tom and her daughter Laura, who was stricken with a bout of polio as a young child. Based on Williams himself, as well as his Mother, The Glass Menagerie is told thru the eyes of Tom, who becomes frustrated by his mother's obsession with finding a lover for young Laura. Sounds like a great night in the theatre don't you think? Tickets for this award winning drama are now on sale. Not only that, but we are selling it. In fact we sell tickets for every play and musical in London. Who knew? Get your tickets to see Tennessee William's The Glass Menagerie in London at the Duke of York Theatre. It is theatre at it's finest. Until next time theater fans.